8)Turn out cakes and let it cool. Pour glaze over the cake. Mix powder sugar and lemon juice. It should be thick but spreadable over cake. Add more sugar or lemon juice if necessary. 96? omg! thts hot! i pun nowadays mesti berpeluh2 bila masak. even at night. sigh.. btw, ur cake looks good. I am drolling already. Yours look better than mine. I really need to practise my baking. 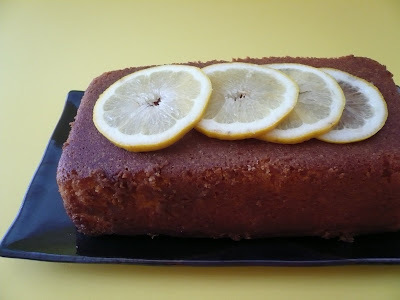 A lovely cake justright for the weekend. Envy, with this heat I just cook something simple which don't take to much time. Normally is just a salad. Nonya, your cake look good too. Farina, Norma, Gert .... get a cooling bandana, leh. It really works wonders! Aiyo!! Gert...your hubby is a lucky guy lor! !..just complain you didn't bake cake for him..now sudah ada Lemom cake!! !..Yummy!one piece for me please!! Lesley, sayang husband so have to try to take good care of him :) So when are you coming to PA for a visit. I bake the cake for you. It looks nice! My kids love this cake. I used to buy only from ready to bake package. Thank you for sharing the recipe. I´ll try it someday. Retno, do try this recipe. 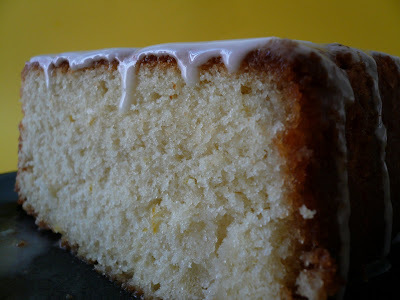 This cake is really lemony and buttery at the same time. my hubby also the same he always dare me say I dare you can't bake this pudding or I dare you can't cook this ect..... then when he back from work the diner he dare me will a put in front of his face , now I am learnin g when he say I dare you I say yes I know I am such a stupid women I don't think I can do it so here D.I.Y hahhhaah.